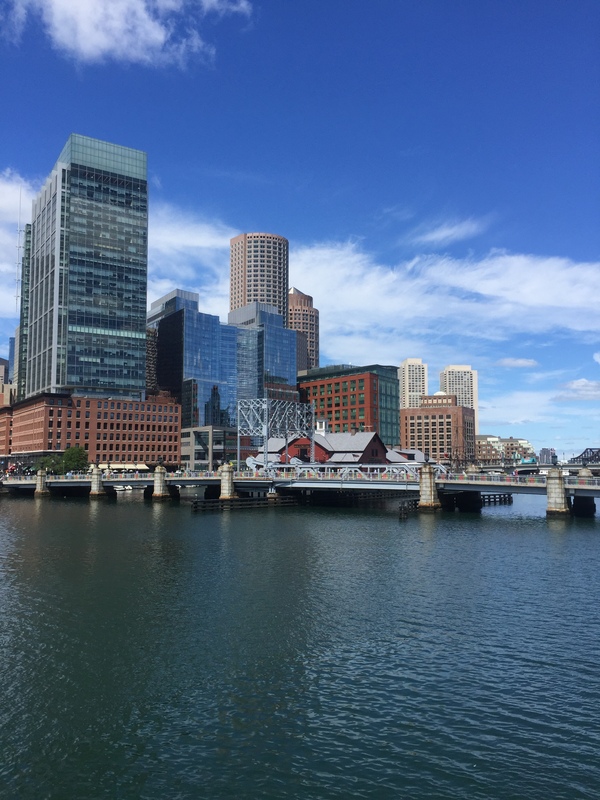 I recently attended The Email Design Conference 2016 (TEDC16) put on by Litmus in Boston, MA. It was a three-day conference all about the design, coding, strategy, planning, workflow, and analytics of email marketing. 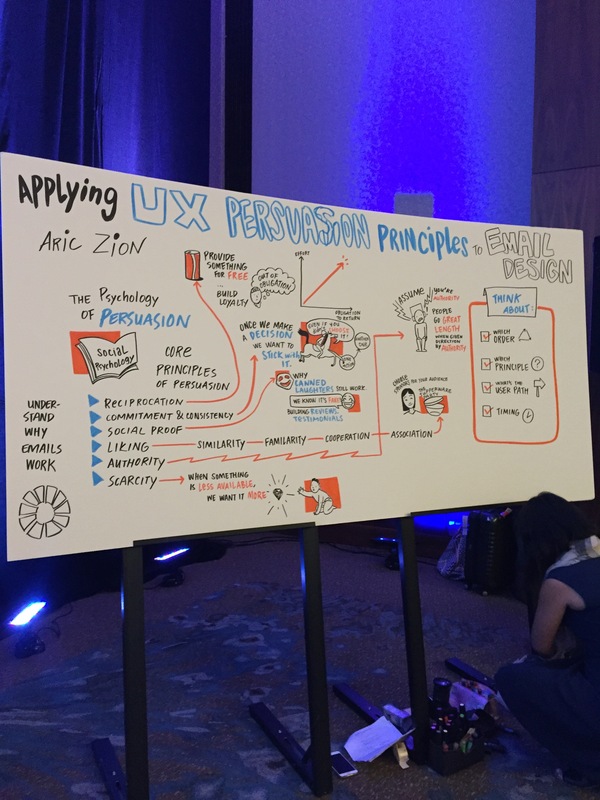 Aric Zion, our CEO, was speaking at the conference about applying UX principles to email design. As a UX strategist, I worked closely with Aric to put together the presentation and tagged along to assist with the attendee speed dating discussions that took place each day. 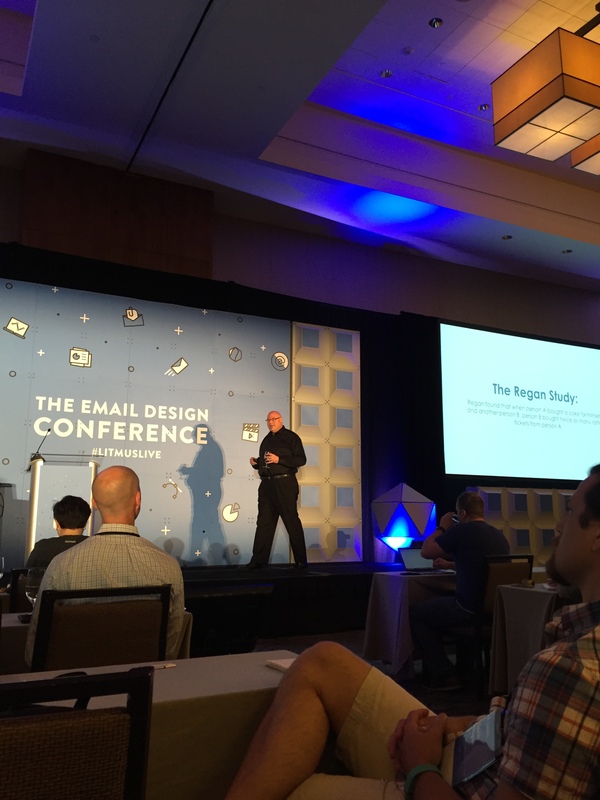 And in an effort to grow my ‘T-shapedness,’ I was lucky enough to also attend the conference to learn a bit more about email marketing—something I was familiar with, but by no means an expert in. All the talks were interesting, but I’m going to take you through a recap of what was covered in my top three favorite sessions. Also known as triggers. Any action or non-action that your subscriber takes or doesn’t take. Did they open the email? Did they click-through? Also known as messages. Which messages should you send? Start with the customer, what do they need? What’s your goal? Bridge the gap between you and your customer. Who’s on the list and what are you calling them? How do you describe the recipients and make sure they continually meet your requirements? How often and when should you send messages? Do you send emails rarely? Frequently? Placeholders for personalization. What do you call your user when you aren’t using their name? Promotions and special offers. What will you use to incentivize them? Branching & joining programs. How do you get someone from one email list to another? I loved this talk because the speaker put her own spin on the topic and gave us a usable framework for creating email automation plans. In talking to other people around the conference, I kept hearing that many people were sending out automated emails without having a strong strategy behind it, so I think this framework will help everyone. Even if you already have email lists and rules created, take a step back and compare this framework to what you’re doing to improve it. While I really enjoyed some of the other more technical talks (like email analytics, and how to get off a blacklist), this talk stood out to me in a different way. Kristen talked about the emotional side of email marketing. She said “emotion is the fuel that drives any action anyone takes,” which is so true, and something I think we all need to remember more when creating emails. In email marketing, our goal is always to get people to take action, and the best way to do that is to create some sort of emotional experience. The question is, how? I liked this talk because it showed a different side to email marketing. I think email marketers (and all marketers for that matter) often get so caught up in analytics and testing that they forget about the why. They forget that we’re talking with real people through email. We’re not just looking for a conversion or a click-through; we want our users to connect with us and that’s how we will get a conversion or click-through. Aric talked about how you can apply the 6 Principles of Influence (from Robert Cialdini’s social psychology research) to email design. He gave an explanation of each principle followed by real life examples that prove how you can persuade the human mind. He then showed examples of each principle and how it can be applied in email design. 1) Reception: We feel obligated to repay someone when they have given us something. 2) Commitment & Consistency: Once we make a decision or take a stand, we are likely to make future decisions to match that past behavior. 3) Social Proof: When we’re unsure of something, we validate our decisions based on what other people think is correct. 4) Liking: We say “yes” to individuals we know or like. 5) Authority: We follow and react to authority symbols. 6) Scarcity: If something is less available to us, we want it more. Aric and I participated in the conference’s “speed-dating” Q&A, where attendees could come up and ask us any question about the topic. It was interesting to hear about the challenges others are facing with email, and how they thought these UX principles could help them. It reminded me how integrated UX and email marketing really are, and how many of the other UX principles could help email marketers. Not only did I love Boston, but I really loved this conference. As a UX person and not a full-time email marketer, even though I speak with the Zion & Zion email team on a regular basis, it was interesting to learn even more about the challenges email marketers face day-to-day. It definitely made me realize even more, how integrated UX and email are, and how I wish all agencies had email marketers and UX people working together like we do at Zion & Zion.